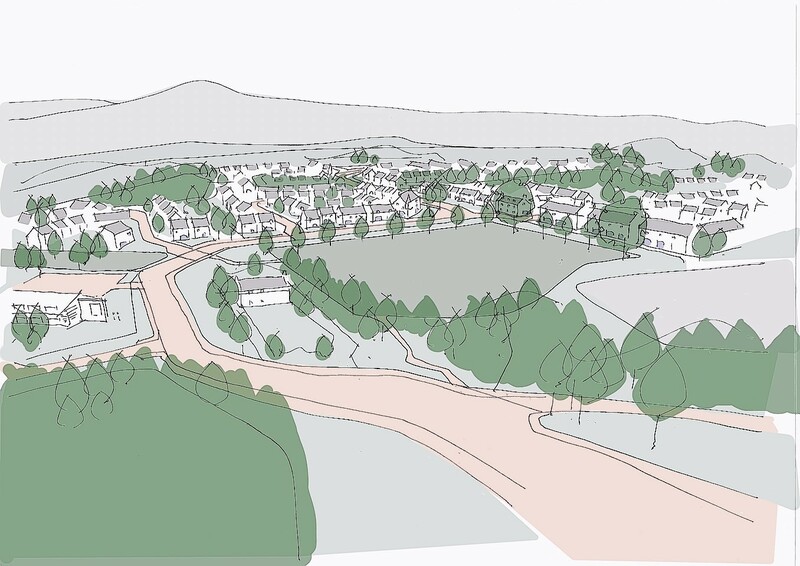 Campaigners fighting plans to build 300 homes in Banchory have accused the developers of trying to manipulate local housing figures. The Stop Scolty Redevelopment Group has claimed Sandlaw Farming have used “misleading and misrepresented facts” in its bid to build the homes at the foot of Scolty Hill. It comes after the developer’s agent, Ken Ross, was quoted saying the north-east’s housing market faced a shortfall of 17,000 new homes by the end of 2016. He claimed a housing needs assessment for the area called for 27,300 new homes to be built in this time frame, but that only 14,572 would be. But the Aberdeen City and Shire Strategic Development Planning Authority (SDPA) said his points were “invalid” as he had confused house completions projections with housing allowances. The planning body said while it had identified land to build 27,818 homes by the end of next year, it is on track to meet its objective of 9,965 homes. Aboyne councillor Peter Argyle, of the SDPA, accused Mr Ross of “trying to manipulate figures for his own advantage”. Last night Mike Adams, spokesman for the Stop Scolty Redevelopment group, said: “The ‘development at any cost attitude’ is something we have seen in recent months in Aberdeenshire with regular publication by Sandlaw Farming of misleading and misrepresented facts. He said the group aimed to address the “culture of aggressive development head on”. A spokesman for Sandlaw Farming said: “It depends on how you interpret the figures. What we are saying is there is clearly a shortfall in the number of houses being built and we see that is a serious concern. Sandlaw Farming’s original plans to build 300 rented homes, 75 affordable properties and 25 assisted-living apartments were rejected in June, with the protect group rallying more than 500 objections to them. The developer is now preparing to submit a revised application, this time just for the 300 rented properties.